Boxed-Up Packaging is the eCommerce division of Belmont Packaging Ltd.Feel confident knowing that you are buying British and cutting out the middle man! Our corrugated cardboard boxes are manufactured in our factory in Wigan. 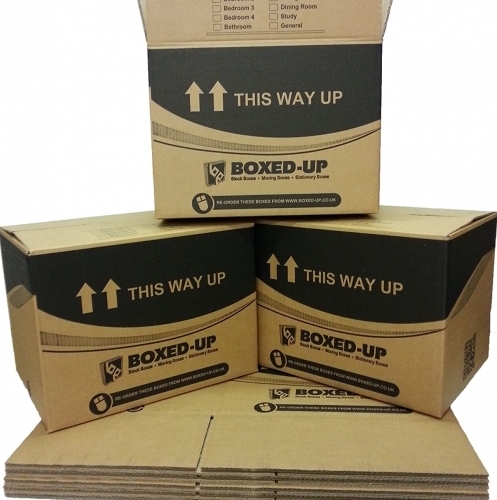 Boxed-Up is the perfect choice for customers who need anything from 25 to 1000 boxes. We cater for the smaller merchants, eCommerce sector or hobbyist who are unable to adhere to the higher quantities associated with bespoke boxes. 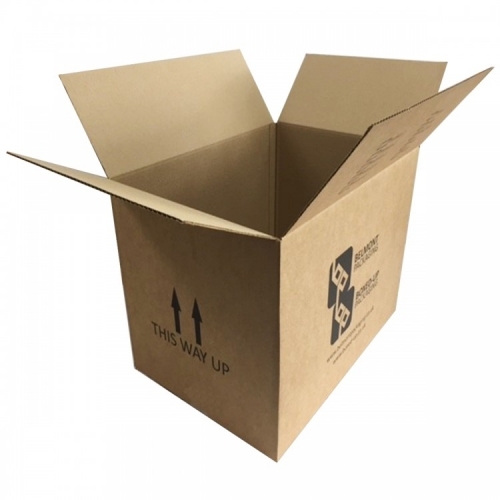 Order smaller quantities from a wide range of stock boxes held within the Boxed-Up warehouse. Put simply, we're crazy about boxes and we're here to serve you! We offer FREE next working day UK delivery to all our customers. Pop over to our website for the latest offers and voucher codes. Our double wall house moving boxes are constructed using two layers of corrugated fluting bonded together This results in a stronger, sturdier and more hard wearing box that is perfect when moving home or office and are ideal for moving heavier items.